Smartlipo, the number one requested cosmetic procedure, is the undisputed leader in laser-assisted lipolysis, and Wilmington Plastic Surgery was the first to offer it in southeastern North Carolina. As a result, our surgeons are the most experienced in the area. The popular technique of tumescent liposuction (or lipoplasty) has evolved over the years to give patients more options for removing subcutaneous fat, and thereby slimming and reshaping specific areas of the body with fewer side effects and quicker recovery time. Much less invasive than traditional liposuction, Smartlipo is a body sculpting treatment that essentially melts away fat. Like nonsurgical CoolSculpting, it is ideal for helping eliminate those last few pounds or the stubborn bumps and bulges that don’t respond well to proper diet and exercise. problem areas known as "love handles," "saddlebags" and "bra fat"
Conventional liposuction techniques, such as tumescent and ultrasonic liposculpture, are used by Wilmington Plastic Surgery to remove greater amounts of fat. Smartlipo is appropriate for smaller areas and utilizes a tiny, one-millimeter cannula (or tube) that contains a laser fiber that is inserted into the skin. Energy delivered by the precisely directed laser causes the fat cells to rupture and drain away as liquid. At the same time, the tissue in the area coagulates, causing the skin tissue to tighten. Smartlipo can also be used as an effective complement to conventional methods, smoothing out the skin and providing the final toning touches. Hear from our surgeons about this and other body sculpting procedures. Because Smartlipo is a minimally invasive procedure usually requiring only local anesthesia, most Wilmington Plastic Surgery patients report very little downtime. It is suggested that patients rest for a day or two and wait two weeks to resume exercise. A compression garment may also be worn for a short while after the procedure. Anyone, male or female, in good mental and physical health and of normal body weight may be considered an excellent candidate. While the majority of cosmetic procedures are performed on women, many men are opting for the ease and convenience of Smartlipo to remove excess fat in problem areas, including breasts and love handles. Most often, only one treatment is required. Results will be visible within one week, and the treated area may continue to improve over three to six months. In spite of maintaining a healthy diet and a reasonable level of fitness, many people have disproportionate contours due to localized fat deposits. After all, heredity plays a role in a person’s shape, along with weight control and fitness. Wilmington Plastic Surgery offers several body contouring procedures, including tumescent and ultrasonic liposuction, both of which are more conventional methods that are effective at removing larger localized fat deposits than Smartlipo or CoolSculpting. Tumescent liposuction uses local anesthesia to remove pockets of fat, eliminating the need for general anesthesia, intravenous narcotics and sedatives, and it minimizes blood loss. Ultrasonic liposculpture also uses ultrasonic energy to liquefy the fat before it is removed.  Call today for a consultation with one of our world-class, board-certified, fellowship-trained plastic surgeons to find out which body sculpting procedure would be most appropriate for you. Liposuction may be performed alone, or used with other plastic surgery procedures such as a facelift, breast reduction, or a tummy tuck. People with stubborn bumps and bulges who exercise regularly are the best candidates for this procedure. Liposuction should not be viewed as a treatment for obesity, nor a replacement for regular exercise and good eating habits. It is also not an effective treatment for cellulite, the dimpled skin that typically appears on the thighs, hips and buttocks. Ultimately liposuction, like all cosmetic procedures, can be effective in enhancing the patient’s self-image.